We at Best Casinos have taken an oath to provide you with the best online gambling content and most advanced software providers in the industry, and we admittedly never failed to do so. 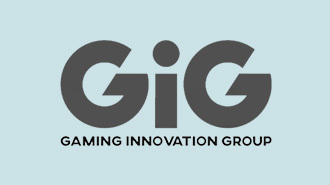 While there is a reason why dominant firms are still around, newcomers are a vital part of an ever-evolving business and that is where GiG (Gaming Innovation Group) jumps into the fray. As iGaming grows and develops with every waking day, it is only logical that new companies come up with new ideas and try to push their way up to the leaders. Sometimes quality comes in the form of novelty, and tradition can be overrated. There are virtually hundreds of supreme game developers, all of which attempt to design the best content of all. And while a majority of them are worldwide acknowledged, there is a bunch of companies working hard and waiting for their time to shine. The Gaming Innovation Group (GiG) will ring a bell to most iGaming connoisseurs. In 2017, the Malta-based gaming brand launched a direct subsidiary that specialises in casino games and named it GiG Games. It is a fairly young firm that diligently manufactures cutting-edge content that has huge plans for the upcoming season. GiG has already commenced paving their way through acclaimed brands under their ownership such as Guts, Rizk and Kaboo. The online casinos operating under the supervision of the innovative GiG offer some of the most opulent bonuses and promotional offers, all of which are listed on Best Casinos. To start with, GiG would not be on this website were it not among the elite developers. Although GiG Games is a brand of a young age compared to the giants with a long history, the group behind it has impressive expertise and unrivalled knowledge, which makes it a win-win combination. Experts in our team know to recognise potential and if you are after something new and never seen before, this page is just for you. In the following lines you will find information on the most reliable online gambling venues that offer GiG games along with an abundance of excusive bonus offers and promotions, as well as an all-encompassing offering overall. The online casinos enumerated on this page are undoubtedly the best of the best. In collaboration with GiG, these licensed operators will cater for affluent welcome (sign-up) bonuses, which will transform into regular promos for when you become a loyal client to these casinos. In addition, you will find details on payment methods offered at these venues, and their description, to make it easier to find your ideal banking option. Dunder Casino is operated under the trusted MT SecureTrade Limited. Mobile-friendly casino. Over 600+ casino games to choose from. Quick payouts. GiG Games have released a modest number of games to date. However, none of them is short of perfect. The portfolio includes state-of-the-art video slots and ultra immersive table games such as Blackjack and Roulette. If there is one thing to be highlighted about these innovative games is that each and every single one of them boasts groundbreaking and stunning technology they are developed on. Lastly, all of these visually appealing games can be played both in freeplay mode here on Best Casinos and for real money in the licensed GiG-powered online casinos. Don’t let the year of conception trick you. GiG is far from inexperienced. The preponderant online gaming group has been around since 2012 and has compiled significant key skills to be able to create the finest content possible. With its seat settled in Malta, the brand has expanded its outreach globally. Its games are played throughout Europe, in countries such as the UK, Western Balkan countries, Scandinavian regions, as well as in the United States. A trinity of excellent video slots are current GiG fan-favourites in the headquarters. They are Book of Souls, Fruit Slot and Wild Reels, and are graphically stupefying games with a matching soundtrack that have found their way to the hearts of a great number of players. GiG Games have so far tended to opt for 5×3 slots, and based on client feedback, the recently announced new releases will take a similar approach. The first year of the GiG subsidiary was surprisingly fruitful, if we may say so ourselves, with the trio of video slots marching their way to the list of the most noted titles ever. In the second quarter of 2019, the inventive developer has a plethora of new games coming. 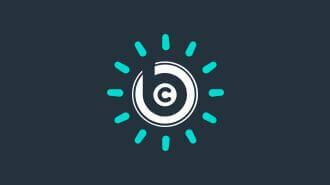 They will add a litany of new themes such as pirates, action, pop culture, galaxy and fantasy, to just mention a few. POPSTAR™ will be the first branded game by the creator, designed in collaboration with the aspiring Swedish signer Erik Segerstedt. It will break the barrier and feature 4 rows for a change, with an intense path that you will need to take to get to the Bonus Rounds and Free Spins mode. MegaNova shows off a milky way of thematic planetary symbols, capped with striking and awe-inspiring visuals and colours, and a wide bet range going from €0.1 all the way up to €100. Another sneak peek we will give to you is the Season Greetings slot, which is an oddly satisfying melange of various holidays, entwined with spooky, heart-warming and awakening spring vibes at the same time. A couple of refreshing and one of a kind slots are coming our way before the year ends, so keep your eyes peeled for updates on Best Casinos. To wrap it all up, from what we have seen, we can tell that most GiG slots will have medium to high volatilities, with relatively high and frequent chances to win. As far as their table games go, we can look forward to Blackjack Classic and GiG Games Roulette, both of which are coming near the end of the first half of 2019. We hope that GiG will join the live dealer team and launch some lie casino content in the times to come. With such appealing approach, the supplier is making its presence known slowly but surely. The industry needs innovators and as long as there are brands like GiG, we are safe to claim that iGaming is at its highest.